Hi crafters!! Today I want to share something simple yet something special. My nephew has been sick and unable to do much so I asked him what would he like to do today and funny he asked me to color him a tag. 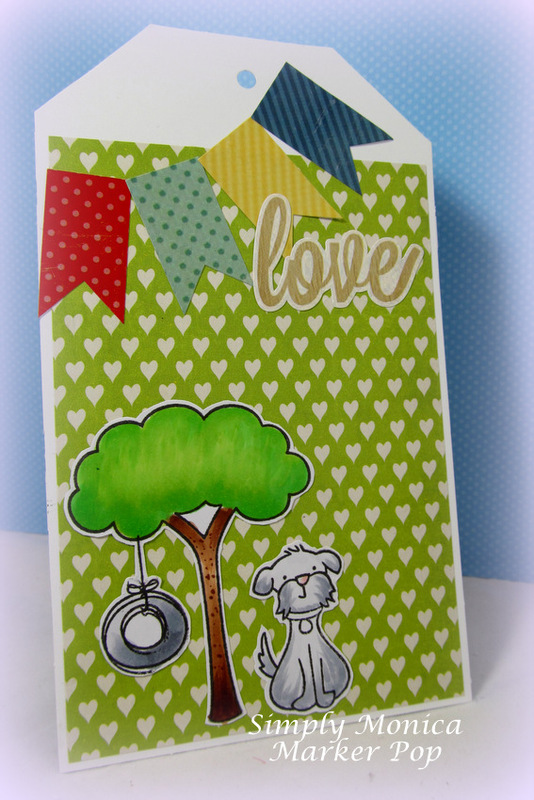 So, he loves fun bright colors and dogs so I made this tag for him. Of course, it says LOVE because he is the love of my life. The absolute sweetest boy in the world. I know this is an older set but, he loved it. So I used Critters in the Burbs. So we used I cut out all the pieces for him and then he told me how it all should be arranged. This is the best tag I have ever made and he hung it up on his wall and said we did a really good job didn't we. So funny, how the simple things in life are the most treasured!